SUPPORTING FARMING COMMUNITIES: CONSERVATIVE POLICY. Food and farming represent the largest manufacturing sector in the UK. It employs one in eight people. The Conservative Party attach great importance to continued investment in rural communities. It is essential to improve rural infrastructure, boosting business opportunities in food/agriculture and to encourage our youngsters to seek employment in this vital sector. We are supporting British farmers through continued pressure in Brussels for the reform of the Common Agricultural Policy (CAP). We are also tackling bovine TB and the promotion of British produce both at home and abroad. For the period 2014 to 2020 the Coalition Government has set aside £3.5 billion to invest into rural development .This has been funded jointly by the UK government and the EU. The objectives are; improve rural infrastructure; agri-business investment; forestry and environmental protection. We have also taken on board what the Countryside Alliance have had to say. The Conservative Party believes in strong vibrant rural communities at the heart of a living working countryside. We attach great importance to clear and better labelling of food. People should be able to make an informed choice of what they buy. From April this year all pork, lamb and poultry must show the country of where it was reared and slaughtered .We are also exploring the feasibility of mandatory country of origin labelling for dairy products. This government has reduced domestic regulation to save food producers £300 million by cutting guidance from DEFRA by 80%. Tackling bovine TB is very important it is the highest in Europe. The last Labour government did nothing – this is not an option. Culling cattle at a cost of millions to the exchequer of billions of pounds should not continue. We should vaccinate badgers in the Edge Area and cull all in the areas where TB is rife. We hope to eradicate to disease in England by 2038. CAP to support sustainable farming and that CAP payments will ensure environmental protection, placing the least possible burden on businesses. Implemented ban on battery cages for hens. Investing £2.3 billion in flood defences. Allowing 1,400 flood defence projects protecting 300,000 homes 420,000 acres of farmland 205 miles of railway and 340 miles of road. Animal campaign – ensuring better conditions for animals at slaughterhouses and ensuring high standards of animal welfare. You are the experts – what do you want? Would be happy to take questions if can’t answer will endeavour to find answers. If you would like me to speak to your local communities would be happy to do so. Stop Press. In the recent Budget speech the Chancellor announced that farmers can average their profits for income tax purposes from two five years, In the North East this will benefit 1,350 farmers. 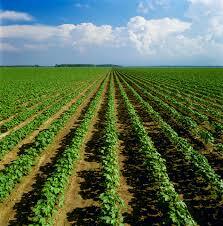 Is there enough agri-business in our area how to increase?